Our Basketball teams both scored huge SSAC conference wins on the road last night at Auburn-Montgomery. The Women won 55-53, with sophomore Ariel Wilson recording her 1000th career point in a Blazers uniform. The Men won 77-76 on a shot at the buzzer on an amazing team play and 3 pointer by Jordan Bedford. The Clarion Ledger wrote a fun story about why Hal Mumme came to Belhaven as our head football coach. If you’ve not yet had the chance to meet Hal, I hope you will. He’s one of football’s great legendary coaches – recently ranked as the 4th most influential coach in college football. Hal Mumme pointed to a pile of business cards stacked on the corner of his desk. “Head Football Coach” is imprinted on white cardstock below his name. Something is missing, he joked. That’s what Mumme came to Belhaven to do. But this move seems odd to some. Mumme, who was hired in January, isn’t your typical football coach at a private NAIA school with an undergraduate enrollment just over 2,000. That becomes apparent upon setting foot in his office. The walls are adorned with relics of his coaching past, which includes stints at Kentucky, Valdosta State, Southeastern Louisiana, New Mexico State and SMU. There’s photos of Tim Couch, the former No. 1 overall pick in the 1999 NFL draft who Mumme coached at Kentucky, and Mike Leach and Dana Holgorsen — now head coaches at Washington State and West Virginia, respectively — who alongside Mumme are a part of a coaching trio that is said to have invented the Air-Raid offense. But Mumme sees nothing strange in the move to Belhaven. He’ll tell you Belhaven has always been on his radar. It started in the summer of 2001, just after Mumme resigned from Kentucky amid an NCAA investigation. Dennis Roland, who had been on Mumme’s staff at Kentucky in 1997, was the head coach at Belhaven. He had asked Mumme to help run a camp. Mumme was serving as SMU’s passing game coordinator last season when he heard the job was open. He set up a meeting. It was nothing but a feeler. Mumme calls Parrott’s enthusiasm for football “infectious.” After all, Parrott helped bring the sport to Belhaven. They start with Belhaven making the jump to the Division-III American Southwest Conference next year. After that, Mumme hopes to build a new stadium. Mumme said his ultimate goal is to win a Division-III national championship. The Blazers have won their first two games under Mumme — most recently a 32-14 victory over Mississippi College on Saturday — which makes Belhaven one win away from matching its win total from last season. To better explain, he borrowed a quote from the Eagles. Yes, the rock band. “I was up late one night in the 1980s watching VH-1,” Mumme said. “Some guy asked the Eagles why they were so great. They said they played the same cord over and over again until it was perfect. Then they moved onto the next. I thought that was perfect for football, too. Mumme also said obsessing over “the little things” is vital. To better explain, he took a page out of Bill Walsh’s book. Yes, the famed late San Francisco 49ers coach. Wins and losses are an easy way to gauge if a program is headed in the right direction. But that’s not what Mumme enjoys most about his “flipping football programs” profession. He likes finding the die-hards — those fans who attend every home game no matter the team’s record or the weather. This was only our first year of intercollegiate track, we had two athletes qualify for the NAIA national track meet in Orange Beach, Alabama. We are proud of Vinnessa Barthelomew and Josh Reed or their success, and Head Coach Caleb Snyder who is building a quality track program from the very beginning. The coach told me he expects to have over 20 new track athletes enrolling this fall. 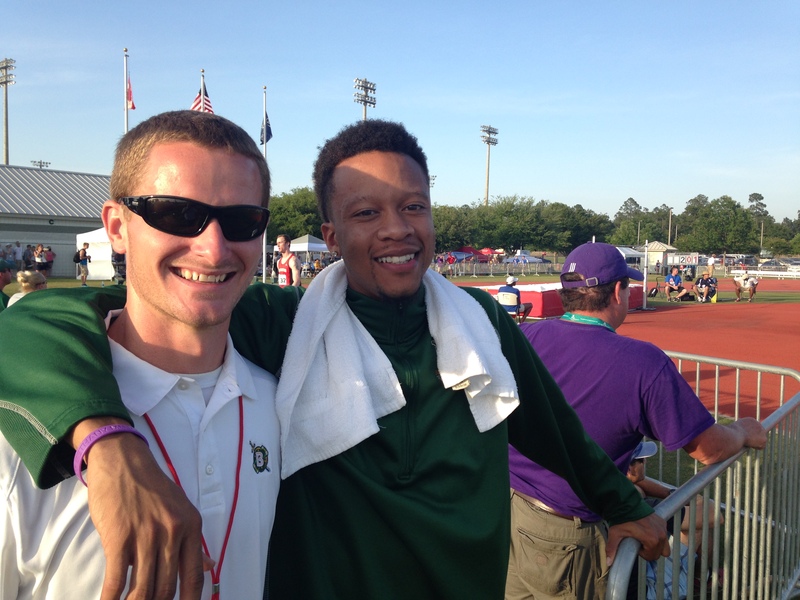 It was a treat to be with, and I was amazed how relaxed both coach and Josh are after he jumped 6 feet 7 inches. And below is a video I took of Josh attempting 6’9″ – he finished 16th in the nation. 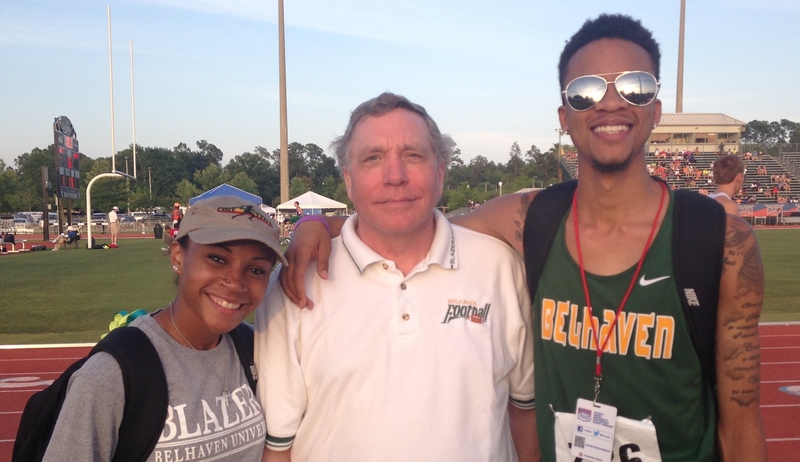 GULF SHORES, Ala. – Vinnessa Barthelomew and Joshua Reed both competed in the NAIA National Outdoor Track and Field Championships this weekend at the M. Miller Blackwell Stadium in Gulf Shores, Alabama. Both athletes made the championships to cap off a historic inaugural season of Belhaven Track and Field. Barthelomew, a junior sprinter from Westwego, La, finished 22nd in the preliminaries of the 100 meter dash Friday afternoon. She crossed the line with a time of 12.33 seconds. Barthelomew qualified for nationals with a time of 12.22 in the 100 meter dash at the Mississippi College Season Opener March 1st. Reed, a sophomore from Clinton, Miss, placed 16th in the high jump at the NAIA National Championships with a mark of 2.01m. Reed just missed finishing higher in the standings due to the number of attempts. He then just missed clearing the bar at 2.06m which would have been a season best. Reed won the Southern States Athletic Conference title and punched his ticket to the NAIA National Championships with a mark of 2.03m. Three weeks ago tonight, international student from Russia, sophomore Max Gunbin, was involved in a very serious auto accident when the car he was riding in was hit by a drunk driver. Max was thrown from the car. If a police officer had not seen the accident and immediately called for help, Max would have most likely died at the scene of the accident. During the first day or two following the accident we were fearful Max might not survive his injuries. And then, as he started breathing on his own, the worry turned to what brain damage might have been caused by the significant amount of blood he had lost. But the campus never stopped praying and trusting that Max was in God’s hands. When his parents arrived from Siberia, and he heard their voices, Max started to respond in a new way. His parents have been thankful for the love of the campus toward them. We introduced them in chapel and prayed for them. And Friday, I gave them Bibles in Russian to assure them of our continued prayers. Max is back on campus. The faculty have been wonderful to work with him to enable him to complete the semester with additional work this summer. Today, just three weeks after the accident, our Tennis Coach, Levi Patton (who has been a hero through all this) sent me this video of Max back on the tennis court last night. Max is still in a neck brace and moving slowly, but it is remarkable to see this video just three weeks after this horrific accident. Thanks to God who is the great healer. Congratulations to Coach Levi Patton and the Men’s and Women’s tennis teams. KANSAS CITY, Missouri – The Belhaven men’s and women’s tennis teams are both represented in the latest NAIA Coaches’ Top 25 polls, which were released by the national office on Tuesday afternoon. After defeating Xavier last week in a thriller, the Blazer men climbed three spots to break into the top ten for the first time in 2014. Belhaven currently sits at the 9th spot nationally and will look to continue to rise as the season advances. The Southern States Athletic Conference claims four teams in the Top 25 on the men’s side, including #2 Auburn University-Montgomery, #13 Bethel, and #15 William Carey, while Coastal Georgia received votes. The Blazers are the only team of the ranked four to have risen in this week’s rankings from their previous spot. The SSAC proved to be strong on the women’s side, as well, claiming a fifth of the Top 20. AUM remained atop the polls, while Brenau moved up to 5th, William Carey dropped to 15th, and Coastal Georgia landed at 19th. Belhaven landed in the receiving votes category. Both squads will open SSAC action this weekend, when they will take on Martin Methodist, Emmanuel, and Coastal Georgia in the Mobile Roundup. Friday’s matchup with MMC is set to begin at 9:00 am. Below is the news release that went to the press this afternoon. Within hours this news was on the web site of most major news paper in the country, ESPN, Yahoo sports – and it ignited our social media like nothing else – when we announced that the legendary Coach, Hal Mumme, will become the next Head Football Coach for Belhaven University. 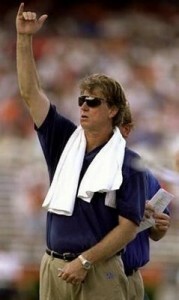 You’re going to love Coach Hal Mumme. He is our kind of leader and educator. It is so affirming how this all came about, as we’ve seen God’s hand carefully guiding Hal and Behaven to come together. It is remarkable to have Hal come here – he loves the Lord, he loves Belhaven, he is a legend of college coaching as the architect of modern football offensive strategy, a former SEC football coach (the only one at Kentucky to beat Alabama), and has also coached at the Division III level. Hal’s wife June is a national advocate for breast cancer awareness and created the push to encourage football players at all levels to wear pink in their game uniforms during the month of October. She is a business woman of significance, and has written a wonderful book that tells the story of their lives in coaching. They have some great kids, one of whom is head football coach at LaGrange College. Congratulations to Scott Little for having a steady hand to get us through this wild ride to get to this moment. We owe Scott a Christmas/New Years Holiday, because he didn’t get an ounce of a break dealing with over 150 candidates for our Head Football Coach position. Join us for a press conference to meet Hal on Tuesday at 1pm in Barber Auditorium. JACKSON, Miss.- Belhaven University and the Department of Athletics is pleased to announce that Hal Mumme will be the next Head Football Coach. Mumme comes to Belhaven from Southern Methodist University, where he served as an Assistant Coach and Passing Game Coordinator under Head Coach June Jones in 2013. Under the coaching of Mumme, SMU quarterback Garrett Gilbert set multiple single game and single season records during the 2013 season. Gilbert racked up 635 yards of total offense against Temple, seventh most in a game in NCAA history. Gilbert also recorded single season school records, second for most total offensive yards (3795), second in passing yards (3528), and first in completions (335). As a team, the Mustangs recorded 5,222 total yards with 4,097 of those yards coming through the air in 2013. Mumme not only brings experience as an assistant coach at the NCAA Division I level, but has been a head coach at Division I Kentucky, New Mexico State, and Southeastern Louisiana. Mumme was also the Head Coach at NCAA Division II Valdosta State, Iowa Wesleyan (NAIA), and most recently McMurry (Division III and now Division II). Mumme spent four seasons at McMurry and led the team to a 27-16 record, including three consecutive winning seasons. Mumme resurrected a McMurry program that had lost 13 consecutive games and had not had a winning season for eight years prior to his arrival. In 2011, Mumme posted a 9-3 record with the team and secured McMurry’s first postseason victory since 1949 by beating Trinity in the first round of the Division III playoffs. Mumme began his coaching career in the NAIA at Iowa Wesleyan in 1989 and led the Tigers to the playoffs in 1991. In 1992, he moved on to NCAA Division II Valdosta State and then to Kentucky in the SEC where he coached Number One NFL Draft Pick Tim Couch. In 1998, the Wildcats went 7-5 and played in the Outback Bowl, becoming the first coach to take the team to a New Year’s Day bowl game since Bear Bryant in 1951. He is the only coach in the modern era at Kentucky to beat Alabama and numerous college head coaches’ are part of his coaching tree, including current Washington State Head Coach Mike Leach. Coach Mumme will be officially introduced at a press conference on Tuesday afternoon at 1:00 PM. 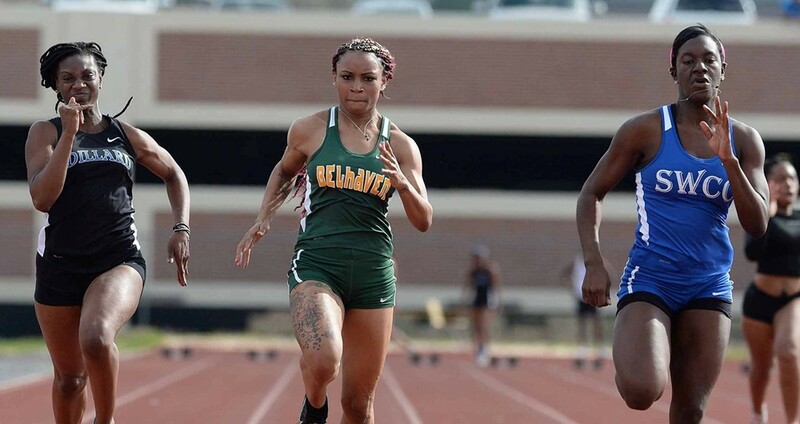 Belhaven University is a member of the NAIA, Southern States Athletic Conference and Mid-South Conference and sponsors 15 intercollegiate sports. Belhaven is an institution that focuses on preparing students academically and spiritually to serve Christ Jesus.